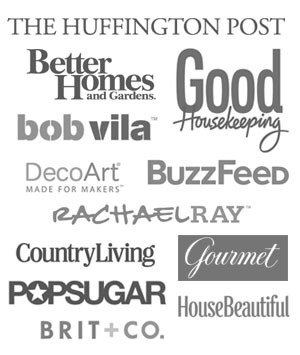 Hello and welcome to the Mason Jar Monday Blog Hop! 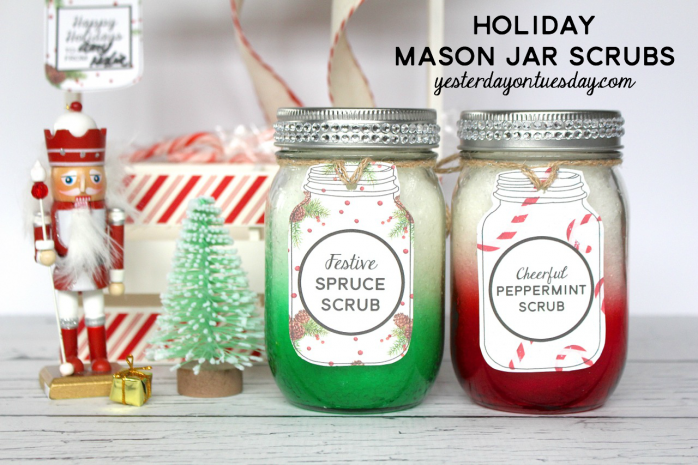 We are celebrating the holidays a tad early with some wonderful mason jar ideas for you. 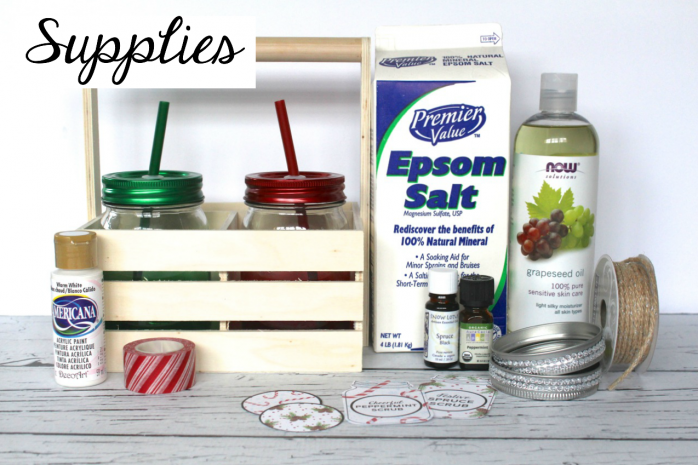 Supplies: Americana Decor Paint in Warm White, epsom salt, green and red mason jar from Michael’s, rhinestone mason jar lids from Michaels, peppermint and spruce essential oils, twine, red and white striped washi tape, Holiday Mason Jar labels and tags. 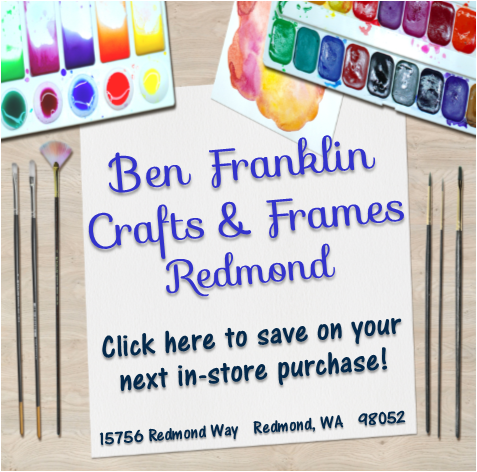 You’ll also want to grab some Fiskars scissors, a hole punch, measuring cup and bowl. 1. Download and print the tags and cycles, then cut them out and punch a hole through the top of the tags. Cheery Peppermint Scrub: 2 cups of Epsom Salt, mixed with 4-5 tablespoons of grape seed oil and 20 drops each of peppermint oil. 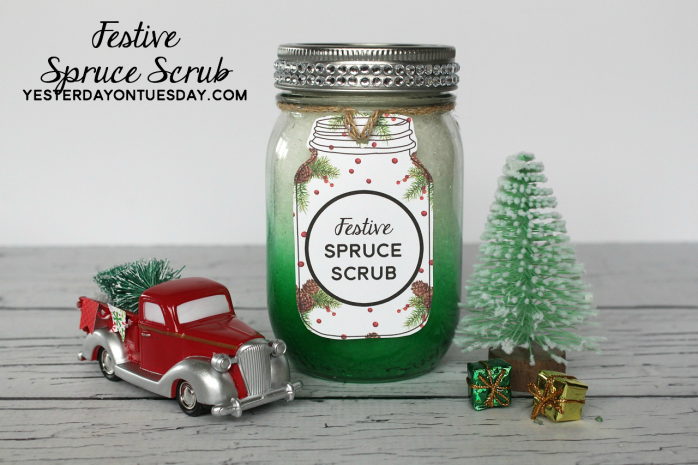 Festive Spruce Scrub: 2 cups of Epsom Salt, mixed with 4-5 tablespoons of grape seed and 20 drops spruce essential oil. 3. 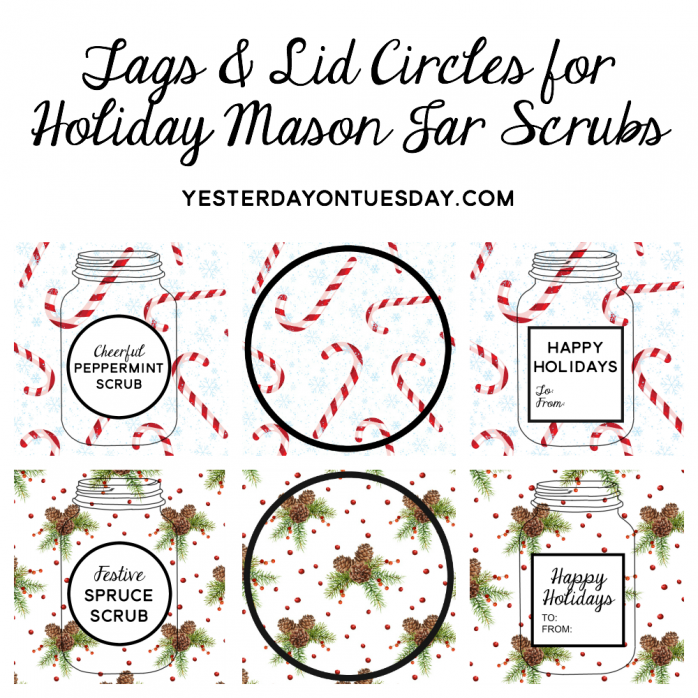 Scoop the scrubs in the jars and the lids, tags and labels. 4. Paint the wooden box (fits 2 pint sized Mason Jars). 5. 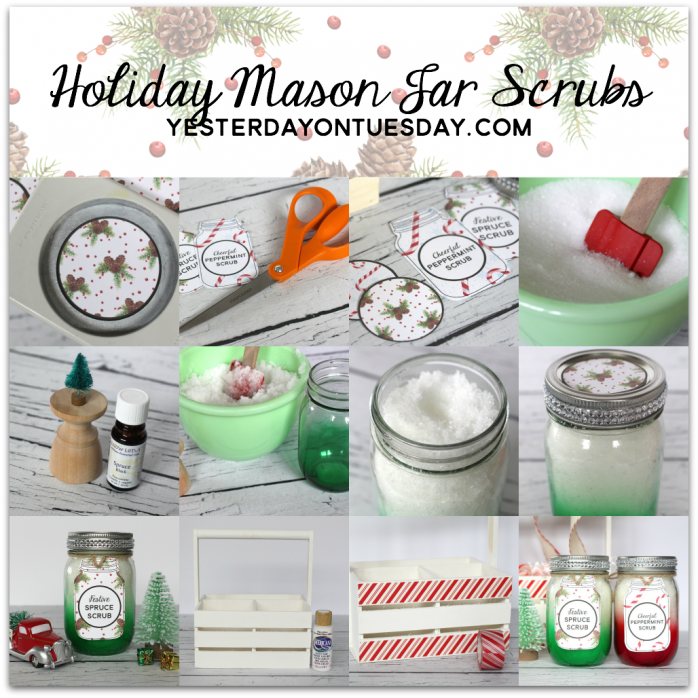 Add the tape to the box and add the Mason Jar Scrubs. 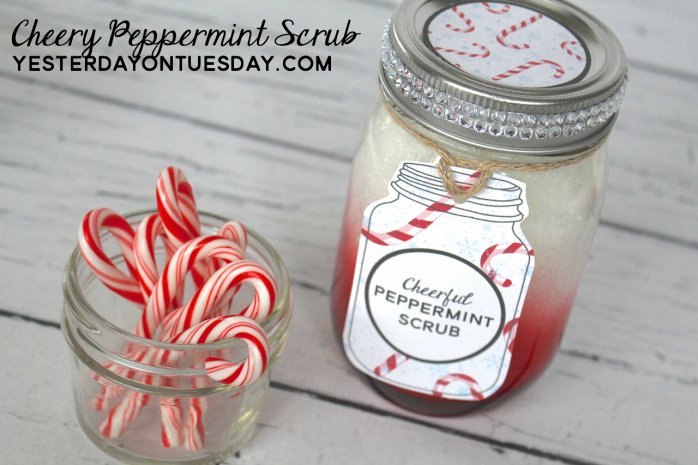 I wish you could smell how bright and cheery the peppermint scrub smells! And the festive spruce scrub smells so delightful and christmasy! 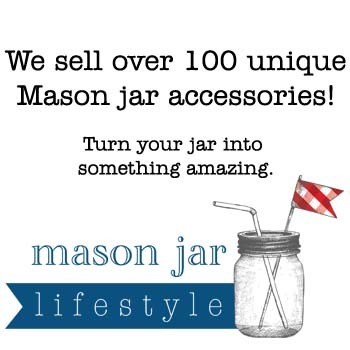 Don’t you just love Mason Jar Monday? 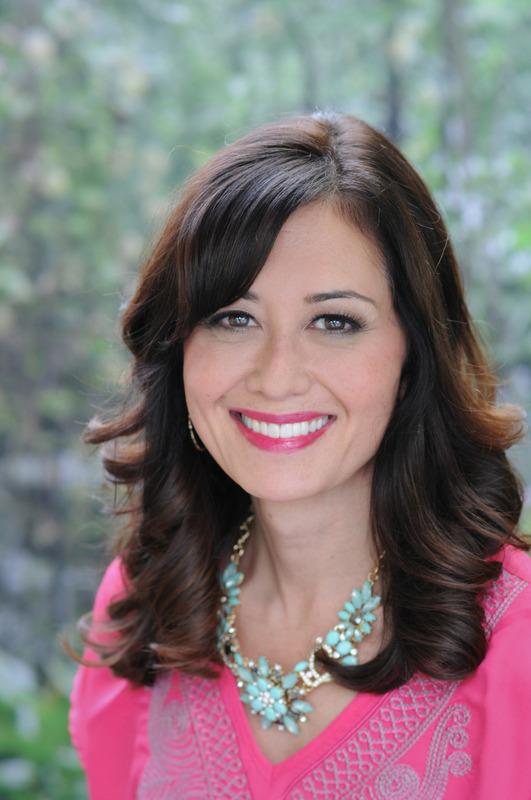 to see each of these fabulous projects. What a great gift idea! Who doesn’t like a littler pampering. I can smell it from here. 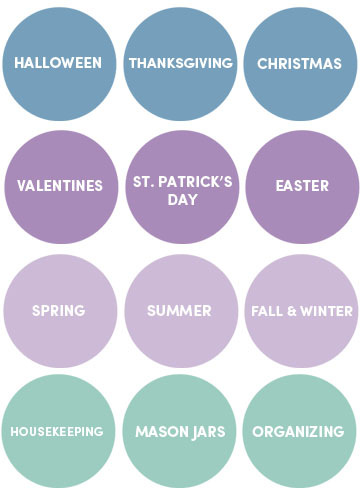 Love the festive details of your printable tags! Thanks for sharing. I’ll bet these smell delicious! What a fun gift, though I’d keep them for myself! 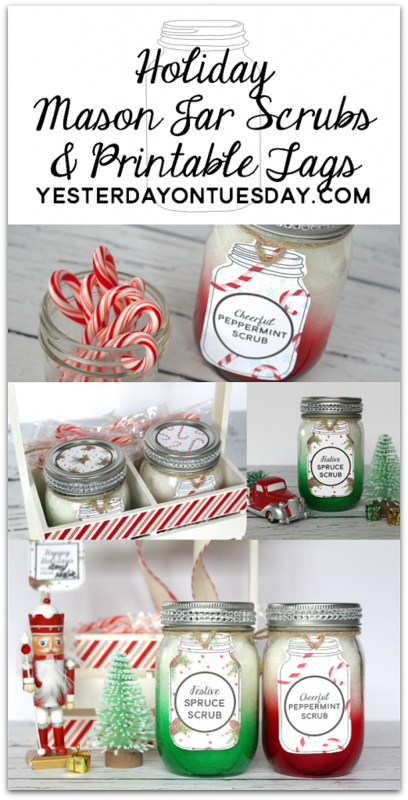 Can you tell me if you painted the bottoms of the jars red and green or did you buy them like that? Thanks for the post of the tutorial, pictures & free downloads. I have a question. 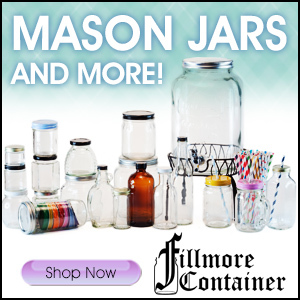 Where did you purchase each bottom colored mason jars?